NEW LISTING ALERT N NAPLES WALK TO THE BEACH! 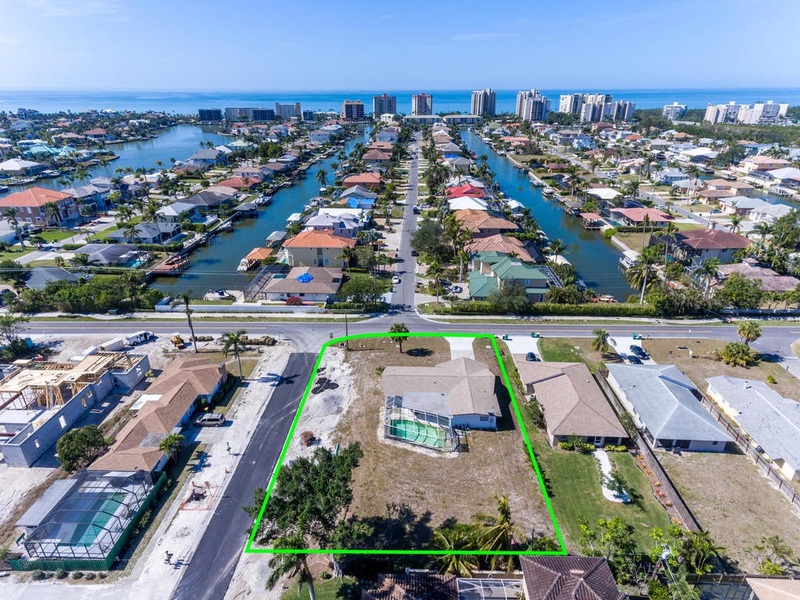 This LARGE corner lot has the desirable and sought after Vanderbilt Drive address, is situated between Vanderbilt Beach Park and Delnor Wiggins State Park! The originally designed Arthur Rutenberg home has not been updated from its original build out, and is being sold with the value of a DOUBLE lot! It's great location, close proximity to beaches, boating clubs, and excellent nearby shopping and dining at The Mercato Shops or The Ritz Carlton Beach Resort make this a true 'diamond in the rough'. Whether you choose to improve upon its original architecture, or if you have considered building your dream home in a prime location - this is it! INVESTORS - this is a location that could accommodate a duplex or immaculate single family spec home with guest house! Collier County has just finished installation of new water lines nearby and continuing throughout the neighborhood. In addition, ALL power/cable lines will soon be buried in ground in front of residence! Improvements include newly paved roads and additional street parking. Walking distance to Delnor Wiggins State Park and beach. Looking at all offers. Builders welcome. Lot size 108x172x108x172 per Property Appraiser's Office.